Unlike most other internet sellers we hold our own stock of Diamond bunded oil tanks ready for a FAST dispatch! Call us on 0800 0568 350 for more details. FREE delivery to any UK mainland address on a rigid vehicle with tail lift offload is also included. 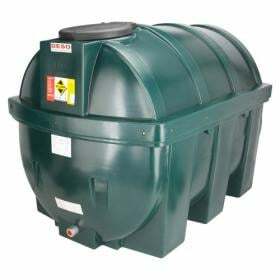 The Diamond 1650 litre Bunded Heating Oil Tank is manufactured by Clarehill Plastics who also manufacture the Harlequin Oil Tank range. 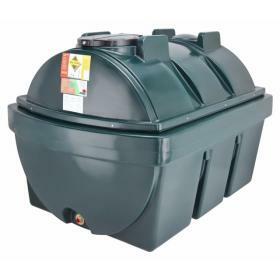 For added peace of mind this tank is supplied with a 10 Year manufacturers warranty! This bunded plastic tank fits on the footprint of a standard 600 gallon steel tank. 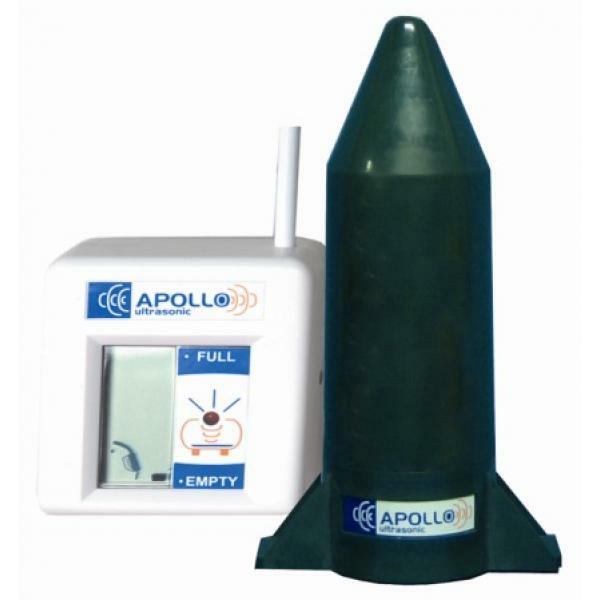 The Apollo Standard Ultrasonic is the original ultrasonic contents gauge and comprises of a tank mounted transmitter unit and a plug in receiver unit. The tank transmitter constantly checks the level in the tank and transmits this to a plug in receiver unit which displays the level on the easy to read LCD screen. Mechanical Overfill Preventer - This safety device cuts off the supply of oil from the tanker when a set level is reached inside the tank, therefore preventing the oil from overspilling into the bund if the tank is overfilled. Delivery of this product is FREE to all UK Mainland destinations including the Scottish Highlands. For islands we can deliver to a mainland port. We can also supply this product to Ireland and Northern Ireland please contact us on 0800 0568 350 for more details. All deliveries are subject to suitable site access. All oil tanks should be installed by a competent person in accordance with the OFTEC regulations, British Standards and LABC regulations. 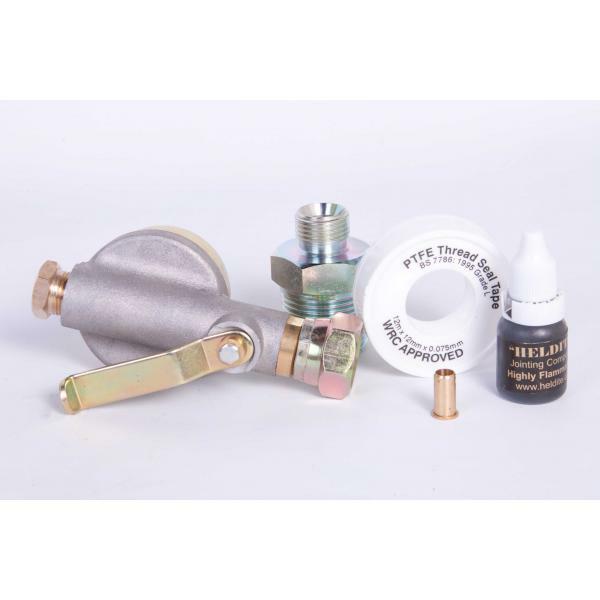 The TigerLoop® De-aerator effectively removes all gas/air bubbles from the oil system, helping to eliminate any oil pump and nozzle problems associate..
10mm copper insert as recommended by OFTEC. 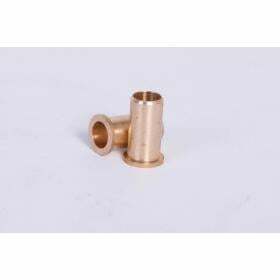 Insert the insert into an open end in 10mm copper pipe to prevent the pipe deforming when tightening the c..
UPVC coated copper pipe is recommended for oil supply lines between the tank and the boiler (or similar appliance). 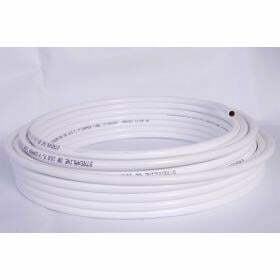 The plastic coating protects the c..
Specification: Capillary Length (m): 3.0 Activation Temp Range (degrees C): 66 -72 Sensor Length (mm):.. This bunded oil tank is manufactured by DESO Engineering. Deso Engineering are a UK based manfacturer who offer a 10 year warranty on all their bunded..
Tanks For Everything supplies TITAN oil storage tanks to Northern Ireland at no additional cost! 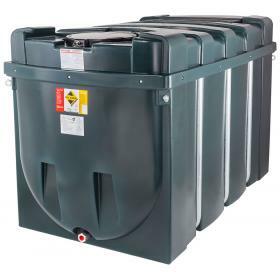 EcoSafe is the most advanced range of bunded heati..
Harlequin HQi bunded oil storage tanks are Harlequin's entry level range of bunded oil tanks and are fully compliant with all all applicable fuel stor..
Harlequin ITE bunded oil storage tanks are Harlequin's advanced range. All ITEs are supplied with the Apollo Standard electronic contents gauge and th.. Unlike most other internet sellers we hold our own stock of Diamond bunded oil tanks ready for a FAST dispatch! 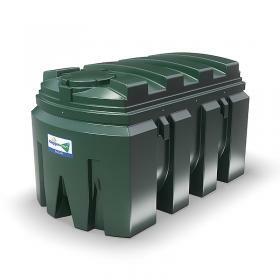 Call us on 0800 0568 350 for more de..
Atlas bunded oil tanks are supplied as standard with a complete installation kit, this includes a Watchmansonic Electronic Remote Contents Gauge ..